I just got back from a skiing trip out in Park City with my family but because my poor old knees don’t let me ski, I did a lot of knitting when I was out there. 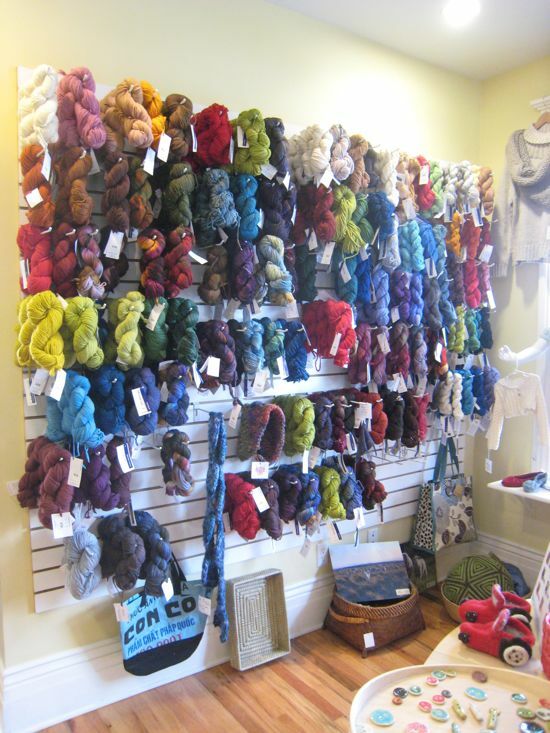 I also drove to Salt Lake City to drop in at Blazing Needles, recommended to me by Susan Lawrence via Ravelry. 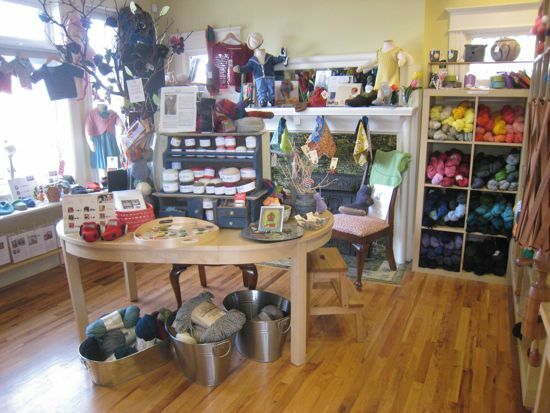 What a cute shop. It’s in a residential district and I just loved the feel of the place. 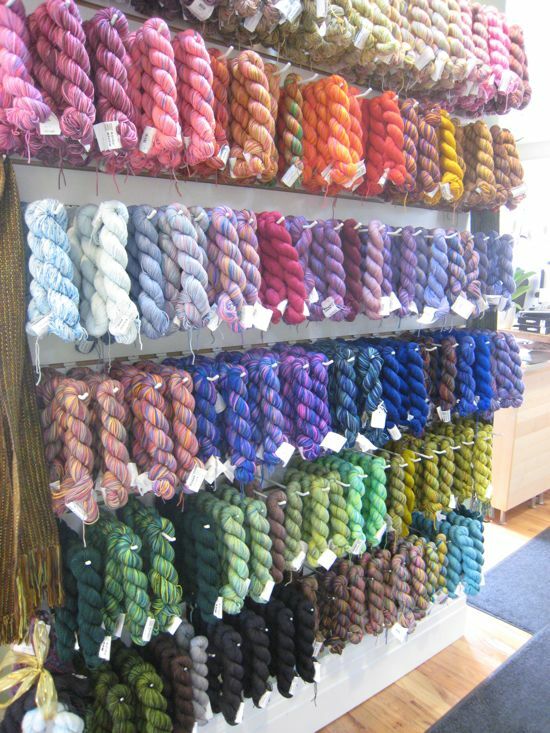 And they had a lot of Malabrigo. Love. 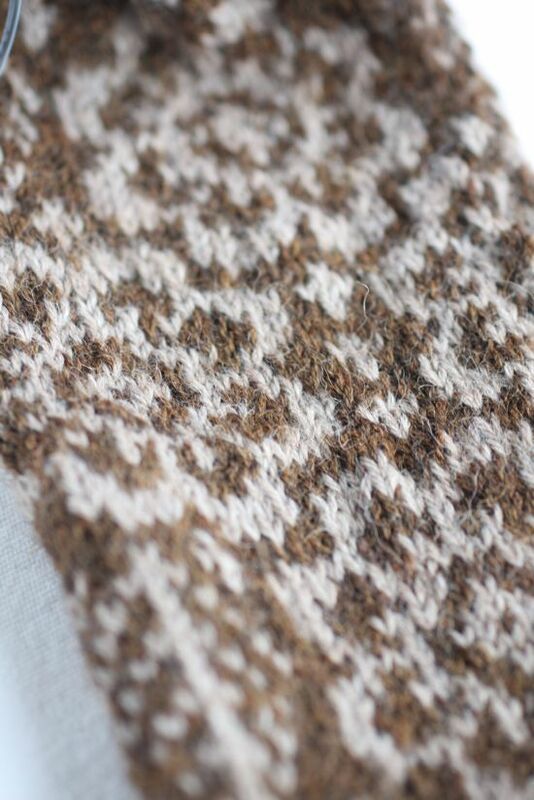 I bought some Cascade 220 Superwash along with a stripey Shibui Merino Worsted in order to make this hat by Jared Flood. lovely wall of koigu! 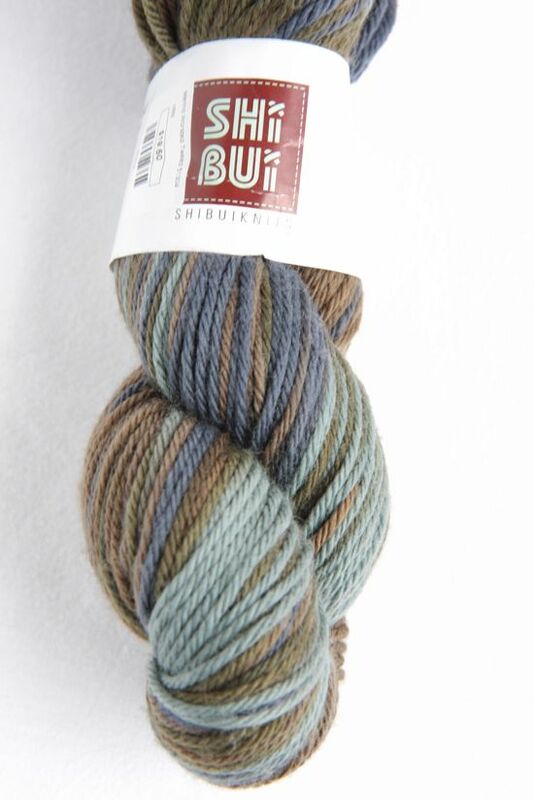 Great pics btw, not just b/c of pretty yarn. wow, that looks like a great store!! I love how many button choices they have, looks amazing. Glad you liked the shop! The Koigu wall is crazy! 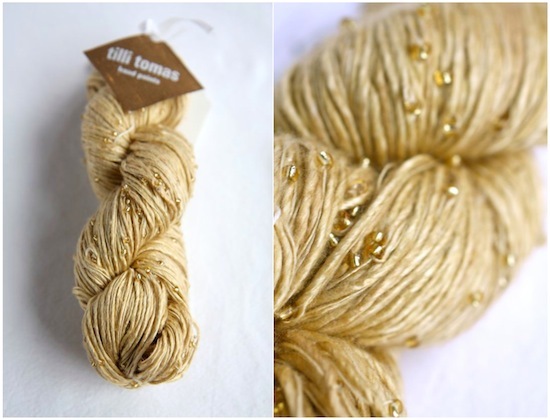 What are you going to knit with your Tilli Thomas yarn? It’s so pretty!